The Battle of Lee’s Mill on April 5, 1862 was, by all accounts, a minor engagement in the Civil War: it produced only 10 Confederate and 12 Union casualties. In the narrative of Union Maj. Gen. George McClellan’s Peninsula Campaign, however, it was very consequential; a fierce Confederate resistance forced attacking Federal forces to retreat, a setback for the Yankees that persuaded McClellan to temporarily halt his advance up the Virginia Peninsula toward Richmond. It would be another month until his forces broke through Confederate Col. John Magruder’s Peninsula defenses. Though Richard D. Lee’s grist mill is no more, the battle site is relatively well-preserved: a short loop trail circles extensive earthworks while a series of excellent waysides, courtesy of the Virginia Civil War Trails, provides a narrative explanation of the fighting. 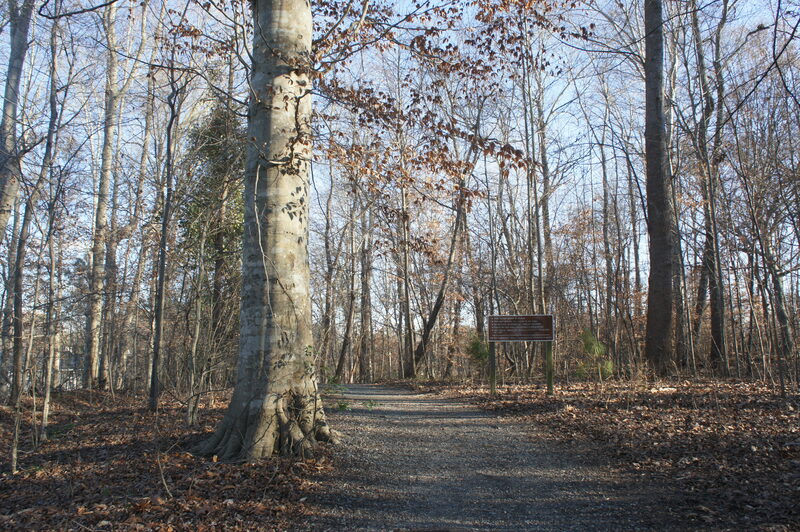 Situated in a suburban neighborhood in Newport News, Virginia, this brief hike offers an opportunity to get out and stretch your legs as part of a larger Peninsula Campaign tour. The trailhead is not far from the intersection of Interstate 64 and Virginia State Route 105 (exit 250) in Newport News. From busy Warwick Boulevard, turn onto Lee’s Mill Road, heading southwest into a residential neighborhood. 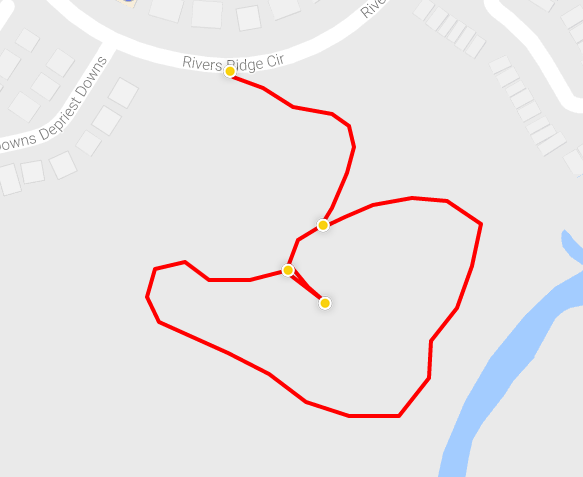 Drive 1/10 mile and turn left on Rivers Ridge Circle, bearing around the curve for 2/10 mile until you spot a small parking area for Lee’s Mill Historic Park on the left. A Civil War Trails sign at the parking area gives an overview of the battle. From the parking area, bear left onto a wide, partly graveled track heading into the woods. Weaving amid oak, hickory, and beech trees, the trail crests a minor hill then descends gradually to a trail fork after 100 yards. Here a second sign tells the story of the construction of the Confederate earthworks at Lee’s Mill, which were influenced by French military engineer Marshal Sebastian le Prestre de Vauban. Take a right, following the loop along a counter-clockwise route. (Note: The waysides are positioned chronologically in this direction.) The next sign reached details Col. John Magruder’s strategy for the Confederate defenses on the Peninsula: three lines of fortifications arrayed between Fort Monroe (occupied by the Union throughout the war) and Richmond, the Confederate capital. Behind a weak, initial line (spanning from Deep Creek to the Poquoson River), the second, Warwick-Yorktown Line, was the strongest. (Note: The third line consisted of a series of redoubts near Williamsburg, Virginia.) 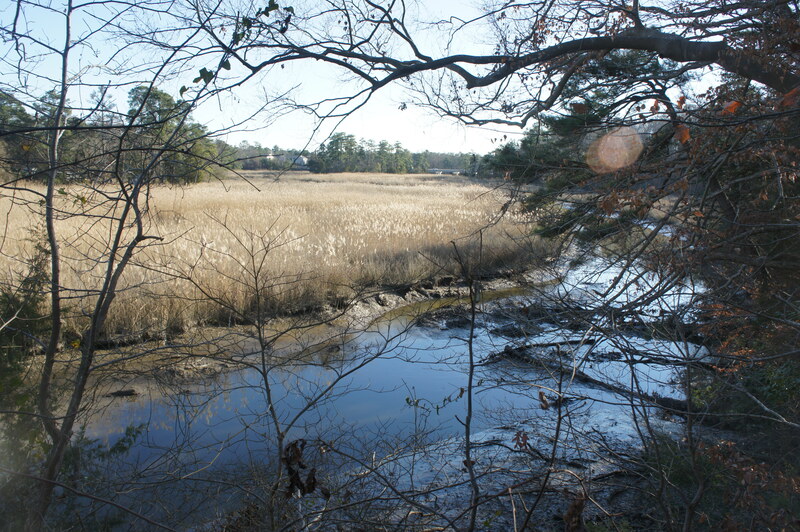 Positioned near the right flank of the second defensive line, the Confederate garrison at Lee’s Mill occupied a strategic location at a key crossing of the Warwick River. As of early April 1862, Brig. Gen. Lafayette McLaws commanded 1,800 Confederate troops at the heavily-fortified post. Take a short detour at around the 150-yard mark, traversing a short boardwalk that ends in the heart of the earthworks. 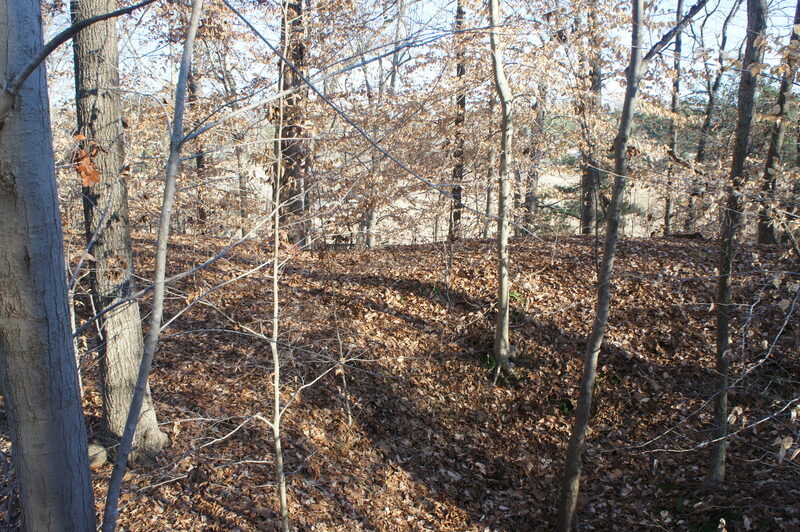 While the view south is obscured, this spot provides a good look at the ramparts surrounding the fort. 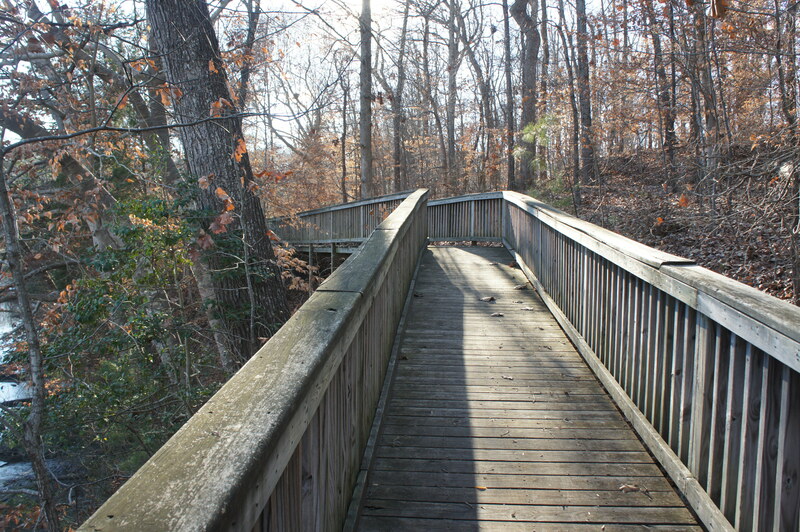 Returning to the main trail, take a left and follow the winding path as it skirts a lengthy wooden fence. The next wayside tells the Union side of the story: the arrival in March 1862 of a massive Federal force, under McClellan’s command, which nonetheless took its time inching up the peninsula toward Richmond. On April 4, the Army of the Potomac marched up to Magruder’s first line in two columns, forcing the Confederates to retreat to the second line. The following day, Maj. Gen. Erasmus Keyes’ IV Corps approached the Warwick River at Lee’s Mill, where they were met with a barrage of artillery fire as well as a Confederate infantry counter-attack. Facing stiff resistance and difficult, swampy terrain, Keyes’ Corps was forced to pull back. Advancing down the trail, the swamp comes into view: a muddy bog clogged with tall grasses, fronted to the north by a steep woody slope, where the earthworks were positioned. It’s no wonder that Keyes declared after the battle, “No part of this line as discovered can be taken without an enormous waste of life.” That was enough to convince the ever-cautious Gen. McClellan—whom President Lincoln would later criticize as having “the slows”—to halt the Union advance, choosing instead to lay siege to nearby Yorktown to gradually wear down Magruder’s defenses. It would be another month until the Federals broke through the second line, a delay that would give the Confederates more time to prepare for the battles to come. Now bearing northeast, the trail descends a lengthy boardwalk overlooking the Warwick River, then rounds another corner and heads up a minor ravine to complete the loop. Bear right and continue the final 100 yards back to the parking area. Accounting for stops to read each of the signs, I would recommend allotting 20-30 minutes for this short and pleasant walk. David J. Eicher, The Longest Night: A Military History of the Civil War (Simon & Schuster: 2001), pages 215-217. Michael Weeks, Civil War Road Trip, Volume I (The Countryman Press: 2011), pages 133-134. This entry was posted in Civil War, Easy Hikes, Hampton Roads, Virginia and tagged Battle of Lee's Mill, Civil War, historic, Lee's Mill, loop hike, Newport News, Peninsula Campaign, Warwick River. Bookmark the permalink.